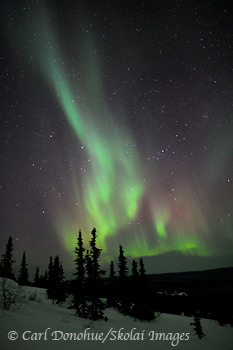 Aurora borealis photo, White Mountains, Fairbanks, Alaska. They are hard! Unless you get lucky, you earn your aurora images. Sure has been a good stretch of lights – I’m bummed to have missed! I think there will be too much sunlight be the time we return in April. Keep up the good work! Really nice one Carl. I have been in envy mode for the past 2 weeks or so with all of the aurora reports. I am glad you brought some reality to that envy by reminding me it is not as easy as one hopes it to be even if you are in one of the best latitudes. I like the verticality of the trees, aurora and image. 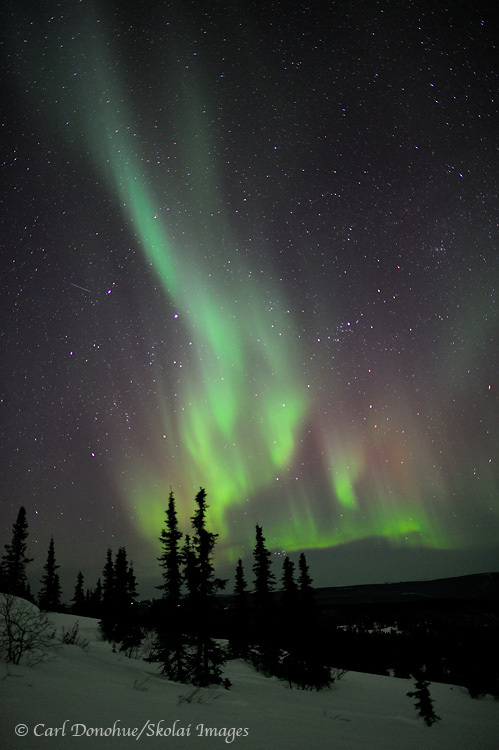 The aurora seems to be a kind of etheric ghost or double of the trees, which makes for a fine composition. Amazing photo! I wonder what real aurora looks like. I want to see how the colors play on the sky. I always see aurora online only. We don’t have that here in the Philippines. It’s so beautiful.